The BEST Ways To Get Rid Of Stubborn Pimple Marks & Scars! We know how irritating it can be to have acne scars that refuse to fade. Pimple marks are stubborn and getting rid of them is a task in itself. They make your skin tone uneven and using a concealer on them all day, every day is not the most practical solution. So how to fade acne scars and restore your face to its blemish-free state after the pimples are gone? How to get rid of acne marks easily? You follow these simple remedies that will help you get rid of your pimples and scars! 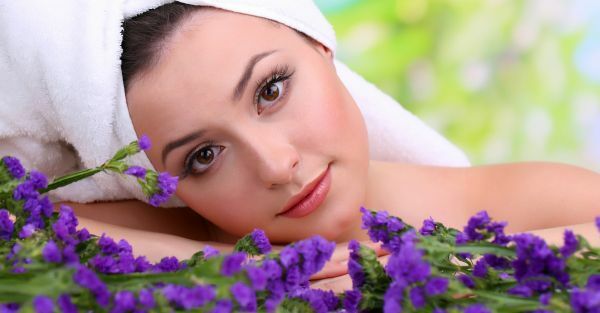 Get rid of acne scars with these magical and effective ingredients. 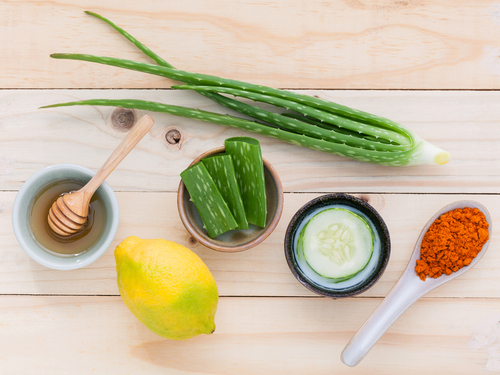 These skin-friendly ingredients will clear acne scars and boost skin health. To know how to remove acne scars read further. 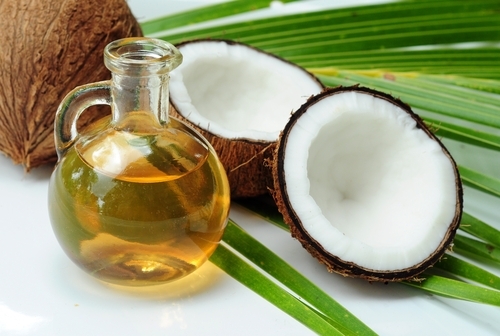 Coconut oil is considered to be a superfood for good skin. As a traditional remedy, many Indians use it to get rid of scars on their skin, and it works just as well on pimple marks too! Its antibacterial and antifungal properties help fight toxins that lead to acne. It can be used as much for great skin as great hair! How To Use: Pure coconut oil can be applied topically on your skin. Apply a thin layer of virgin coconut oil on the affected area after cleaning it. How to get rid of acne scars fast? Do it daily till results are visible. Vitamin E is very effective at getting rid of mild acne marks. It moisturizes the skin and regenerates skin tissue to heal scars faster. How To Use: Simply buy Vitamin E capsules from your local pharmacy and break them to use the Vitamin E oil directly on the marks. Pure Vitamin E oil will increase blood circulation, repair damage and also make your skin glow. Apply it once a day for at least two to three weeks for best results. You can also mix Hematite powder (Geru) with Vitamin E oil to fight acne marks. Aloe Vera gel is a very important component of most anti-acne medicines and face washes, but you can use it directly on your skin too. Its antibacterial properties make it very effective for fighting acne marks, and it becomes all the more effective when coupled with the exfoliating and anti-inflammatory benefits of turmeric. How To Use: Make a paste of turmeric and Aloe Vera gel. You can buy the gel or squeeze it fresh from an Aloe Vera plant. Apply it on the affected areas and let it dry, wash off after 20 to 25 minutes. Tea Tree Oil is brilliant when it comes to fighting pimples and pimple marks. Essential tea tree oil can penetrate your skin to open your sebaceous glands to fight acne and pimple marks. Many people swear by it, and its effectiveness in acne scar removal has been proven by many scientific studies as well. How To Use: Use essential tea tree oil directly on your skin in small quantities. Two to three drops with suffice. But in larger quantities, it should be mixed with a carrier oil or Aloe Vera gel. You can even add a few drops of the essential oil to your bathing water if you have acne marks on your body. How to get rid of acne scars overnight? Apply this oil to the affected area and sleep with it. Lemons are famous for their bleaching properties and help lighten the skin. Lemon juice can be used to help fade pimple marks too. How To Use: Squeeze fresh lemon juice into a bowl and dilute it with water. Apply the mixture on the scars with a cotton ball and wash off with cold water when it dries up. Do not apply lemon directly on your skin as that can irritate it. 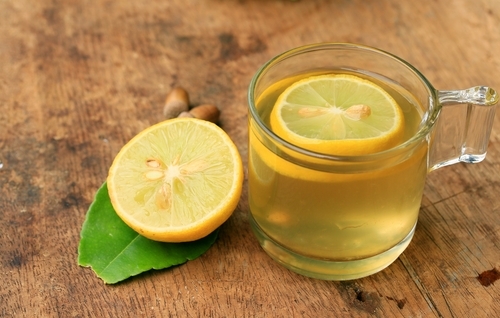 You can even make a paste with honey and lemon to neutralize the acidity of the lemon juice. It’s best to try this remedy at night, as lemon juice can react when exposed to the sun. If you simply can’t get rid of stubborn pimple marks with homemade concoctions, there are always medical scar removal creams that you can try. Mederma (Rs. 365) is arguably one of the most effective creams for acne scars. How To Use: Follow the instructions of the packet. Most scar removal creams have to be applied topically to the affected area. So go ahead and try these simple remedies for your acne scars and achieve a clearer, glowing complexion in a matter of days! Orange peel powder is a rich source of antioxidants. It can help to brighten the skin tone and thus will help to lighten the acne scars. This would be effective for pigmentation too. Use it every alternate day for best results. How to Use: Mix 1 teaspoon of orange peel powder with 1 teaspoon of raw honey. Apply this mixture to the affected area and let it dry. Wash it off with lukewarm water later on. Gram flour or besan works effectively to treat acne and acne scars. It work an an exfoliator and deep cleanses the skin preventing it from acne. If you are tired of trying everything else and still asking asking people how to get rid of acne marks then you should definitely try doing this. Results may take time but they will definitely appear. How to use: Mix 1 tablespoon of besan with the required amount of rosewater or lemon juice to make a paste. Apply it on the affected area or your whole face and neck. Wash it off when it dries completely. Do this every alternate day for best results. Apple cider vinegar has antimicrobial properties that prevents acne from occuring. Its anti-inflammatory properties help to reduce the reddening of the acne scars. Along with acne marks removal, it can make the skin dry so apply a moisturizer after its use. How to use: Take 1 tablespoon of apple cider vinegar, 2 tablespoons of honey and water and mix them well. Apply it on your face and let it stay there for 10 to 20 minutes. Wash it off with warm water later on. You can apply this daily on your face. It is a natural exfoliator that can help to remove dead skin cells. It can help to fight against acne as well as clearing the acne scars. So, to get a clear skin, you can use baking soda. How to use: Add one tablespoon of water into 2 tablespoons of baking soda. Mix them both well and apply on the acne scars to get rid of them. Wash it off when it dries. Follow this routine daily to make the acne scars vanish. Castor oil carries vitamin E and omega 3 fatty acids. These are powerful antioxidants which help to repair damaged and scarred skin tissues. Thus, a regular use of castor oil will help to disappear acne scars. How to use: Take a few drops of castor oil on your fingers and apply it directly on the affected area i.e. the acne scars. Leave it overnight on your face and wash it off the next morning. How to remove pimple scars? Use it regularly and the results will be visible soon. Acne marks are stubborn but if your will to remove them is more stubborn then you can get rid of them easily. So, how to get rid of acne marks? Just use the aforementioned tricks and don’t give up. Images: Shutterstock HAVE A STORY IDEA FOR POPxo? If you want to hear about it, we can write about it! Just tell us your idea here! MUST-READ: 8 Acne Myths That Stand Between You And Clear Skin! MUST-READ: The Simplest Ways To Deal With Acne, Oiliness & Other Skin Woes! This story was updated in March 2019.